A research team, whose major investors include some of the biggest telecommunications companies in Japan, has announced that it has successfully deciphered the contents of human dreams with high precision by analyzing the human brain’s activity during sleep. The group that conducted the research, International Telecommunications Generic Technology Research Center, has financial backing from two of Japan’s biggest telecommunications companies NTT and KDDI. In order to achieve these results, the research group first placed the three men who participated in the experiment into a state of sleep. They were then woken up after several minutes and asked to recount the content of their dreams. 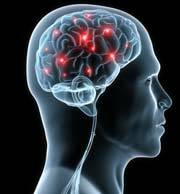 During this time the researchers compared the brain activity patterns recorded during sleep with the men’s accounts. The experiment was conducted over 200 times. Next, while awake, the participants were shown pictures from 20 different categories, including cars and animals, after which their brain activity was further analyzed. These results were then compared to the brain activity during sleep, where the researchers discovered that they could predict the contents from one part of a dream with an accuracy rate of over 70 percent. While it is still not possible to decipher the brain activity responsible for the shape or color one sees inside of a dream, the research group remains optimistic that, with further research, this will also one day become a possibility.